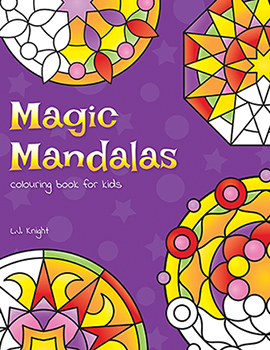 Magic Mandalas is my first colouring book for children. It was originally published in July 2016, and the current updated version in June 2018. This book is full of original, hand-designed mandala illustrations that are easy to colour, with strong lines and large spaces. This makes it ideal for kids, beginners, and anybody who prefers simple designs. All of the mandala images in this book can be viewed below. Magic Mandalas is also available from Amazon’s international sites, and from other retailers. A printable PDF version is available from Etsy. Below you can see previews of all the images in Magic Mandalas. Just click the thumbnails to enlarge. 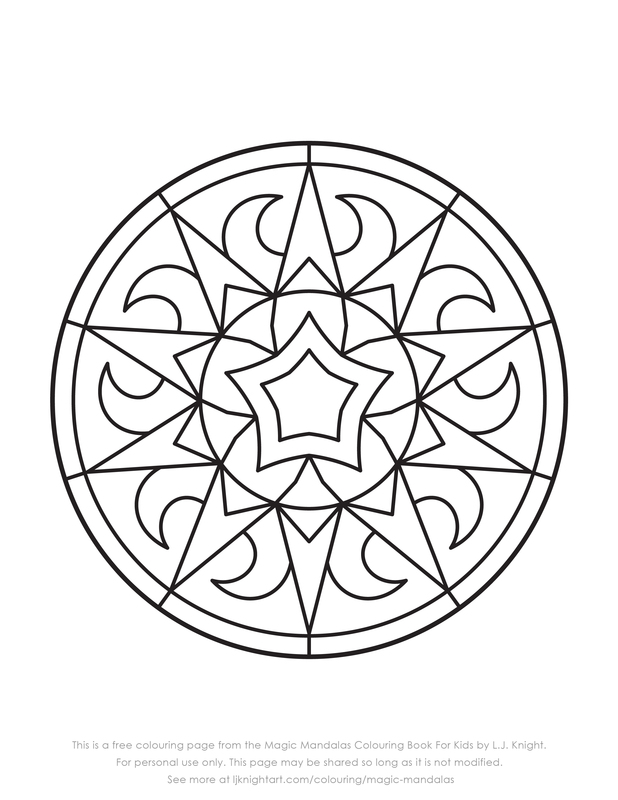 You can download the page from Magic Mandalas in the photo below for free – click here to see it (right click to save to your computer). For personal use only. For all of my free pages, click here. See more colouring books and pages here.